Faradays Kitchen: Want to see how much electricity your legs are capable of generating?Want to try and power a kettle and treat yourself to a brew, whip up a smoothie or cook up some breakfast egg butties. Join the Energy Chefs and choose from our menus in Faradays Kitchen for the Energy bikes from the award winning group KLEEN and Pomona Community Energy extravaganza! Science Super Heroes: Come and explore the Cancer Research Wales Tent and learn all about our research and progress being made right here in Wales! You will have the chance to make DNA bracelets that represent the genes responsible for your own eye colour and/or make a bracelet that represents part of the genetic code for a number of different living things and learn how to isolate DNA from strawberries in a hands-on and interactive way plus much more! Back to the Future (of cancer research): Did you know many dinosaurs had cancer? Their tumours were like those of human patients, showing that cancer has been around for a very long time. The earliest known description of cancer is in an ancient Egyptian textbook. We have come a long way in our understanding of cancer, what causes it and how to treat it. Step into our time machine to find out more, meet our researchers and see the future of cancer research. Diamonds in Space: At the stand, participants will be able to learn about how diamonds are formed on earth in the mantle, how diamond can be formed in space, why diamond is a crystal, and how the carbon in diamond is different from the carbon you find in your pencil. Using virtual reality headsets, participants can come and explore the solar system and find out where in the solar system diamonds can be formed as well as help to build one of Wales’s largest diamond models. Build a Brain Workshop: Join us in the Build a Brain Workshop for a journey through brain development! During your lifetime, your brain grows from one cell to 85 billion. Our Brain Builders will guide you through this process as you extract your own DNA, make robots behave, and get up close and personal with fruit fly larvae - the unsung heroes of research. The Plant Power Station Presents: Food, Fights and Farming: The green fields of Britain are battlegrounds bursting with friends and foes. Parasites plague farm animals, while crops battle biting insects and ferocious fungi intent on stealing our food. How can we produce and transport enough healthy food to sustain us throughout our lifetime without harming the environment or our friendly pollinators? Join the Plant Power Station to help our friends, fight our foes and feed the planet. Splitting the Light Fantastic: Come and see the world the way bees do! We’ll take you on a tour through a hidden world of light and colour concealed amongst everyday materials, accessed by nanostructured films to split up in ways your eyes aren’t able to. We will reveal kaleidoscopic effects and rainbow patterns in the most mundane and everyday objects, and you can build your own “stained-glass” windows from nothing more than cardboard and Sellotape. Save our Lego Seaside Town: Our townspeople keep getting flooded from the sea and need your help to find the best solution to protect them from sea level rise and climate change. Build different types of flood defences then put them to the test by making the biggest waves you possibly can! Can you stop the town from flooding? 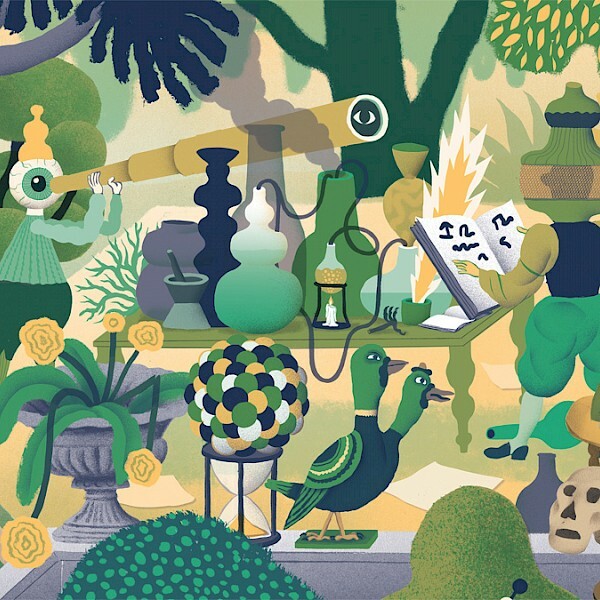 What happens when we work with nature? Test how plants can protect our coasts and towns from flooding and erosion. The Measure of all Things: The Measure of all Things will look at the scientific concepts used to define the units of measurement and how they are used in practice. We will be focusing on the 7 SI base units: the kilogram, metre, ampere, mole, candela, second and kelvin. Each table top demo will illustrate the scientific principles behind the definition of these units, and how they will be changing next year. Bringing Research to Life: Join the University of Southampton’s ‘Bringing Research to Life Roadshow’ for fun, hands-on activities. Meet our fantastic research teams to find out about ancient settlements beneath the sea floor, try out our fish passage marble run and play our Biodiversity Blockbusters. PPL PWR: PPL PWR Roadshow takes science from the lab to the people, showcasing the world of renewable energy through its mad-hat range of DIY contraptions at festivals. Set to a backdrop of these punk-engineering machines, the PPL PWR team provides inspiring and educational demonstrations and talks. The focus is on the ingenious engineering behind renewable technologies; from Adam’s DIY wind turbines to Anna’s Solar Thermal Tea, from Josh’s hydrogen fuel cell expertise to Paul’s thermoelectric energy generators, there’s something for everyone! The Heart of The Matter: Come to our stand, “The Heart of the Matter”, to learn how doctors and scientists use basic physics phenomena to look inside the human body. We are PhD students from the King’s College London & Imperial College London Medical Imaging doctoral training centre, and we are working on new techniques to help diagnose, treat and monitor illnesses. 1 in 2 - who are you? How do we diagnose cancer? Despite the fact 1 in 2 people born in the UK after 1960 will be diagnosed with some form of cancer during their lifetime, many people don’t know that the diagnosis of cancer is almost always only given by what their cells look like down a microscope. Come and join us and have a go at recreating your own image of what cells and tissues look like using a Suminagashi Marbling technique. Tissue Engineering and Repair in Science: A selection of fun, scientific interactive activities aimed at teaching children about the wonders of tissue engineering and repair. The activities will include four activities relating to microbes and bacteria, bones and organs, blood and cells and virtual rehabilitation games capturing the tiniest movement in the body. Crafty Critters: Make your own felt parasite or colour in books about viruses with scientists from the Wellcome Centre for Molecular Parasitology and Centre for Virus Research and learn about how these ‘critters’ cause diseases all over the world, and how we are working to develop new treatments. Younger festival-goers can make a parasite puppet to take home. Ty-Mawr: will have the exhibition house with all of our materials on display as well as fun activities for the children with an opportunity to make and decorate a plaster cast ‘Green Man’. The Fortune of Telling Molecules: Your future health, what will it be? Come to our stall in Einstein’s Garden and have your cards laid. The cards represent specific Fortune Telling Molecules; the fat molecules we have found in people’s blood and use as biomarkers in our research. Biomarkers tell us about diet, health and future diseases (even far before people feel ill). Will the laying of cards provoke your view on science that can predict your future health or diseases? We want to know! 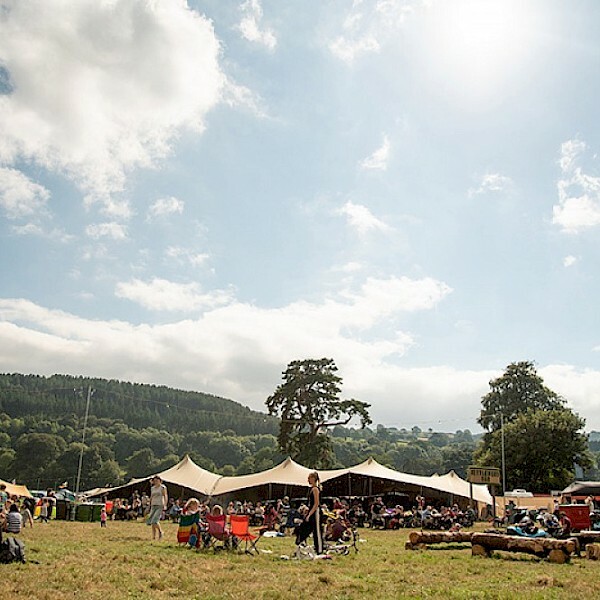 Peak's Horsebox Studio: Come and help artist Natasha Russell create an immersive map filling Peak’s Horsebox Studio and weave wondrous tales about the festival and the surrounding landscape with hand carved stamps and poems. Carve, print and feed us your tales, drawing upon everything from folklores and histories, to local landforms, flowers, plants and animals. Designer Slime: From the kitchen table to the medicine cabinet, learn about the many fascinating and surprising uses of “slime” in our everyday lives. Rapid advancements in printing technology even allow for slime to be designed and 3D-printed into organs, tissues, and medicines! The paradigm-changing field of 3D printing in medicine will also be showcased with various 3D–printed artefacts and models. Get hands-on by making your own colourful slime and learn all about how these materials will benefit people today and tomorrow! The Museum of Lost Species: The Museum of Lost Species is a magically morbid place that only opens its doors for a few days a year; a place where the voices of species long gone echo from the walls. Our creepy cranky curators are eager to tell you all about their Lost Species and their plans to fill up the Museum with more. Will you help them on their malicious mission or will you try to save a species instead? Guerilla Archaeology Presents: Fantastic Feasts! Guerilla Archaeology invites you to find out what ancient festival goers ate at our Stonehenge-inspired event. Discover the foods that were available and those that were still waiting to be introduced. Plan an ancient feast and explore how to prepare, cook, present and eat these innovative ingredients using Stone Age know-how. Come to our garden section to get your own Starter Farmer kits to ‘grow your own’ crops and get advice on caring for your new cattle, sheep and pigs. Our T-Shirt Illustration Competition is Open! 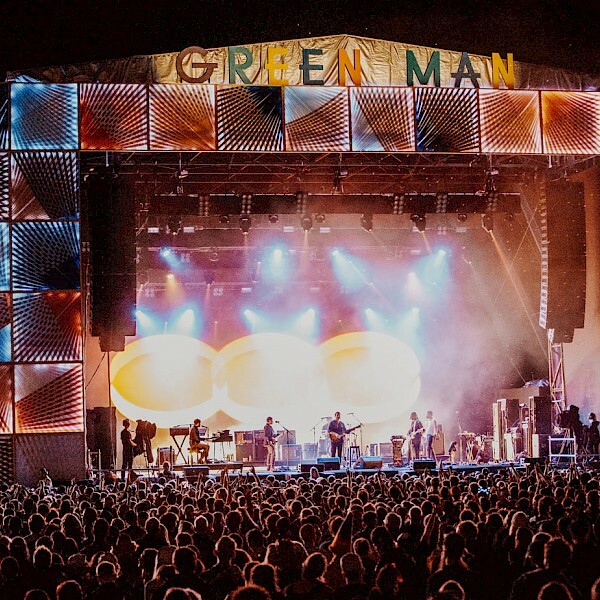 Einstein's Garden at Green Man 2019! Dip your toes into Einstein's Garden line-up for 2019! Blast off to cosmic planes as this year's Little Folk theme is Outer Space! The Settlement line-up is here! 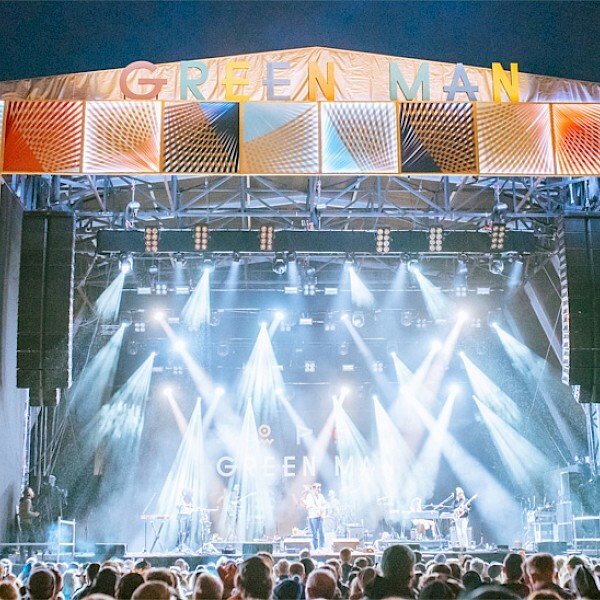 Green Man Festival 2019 now on sale! 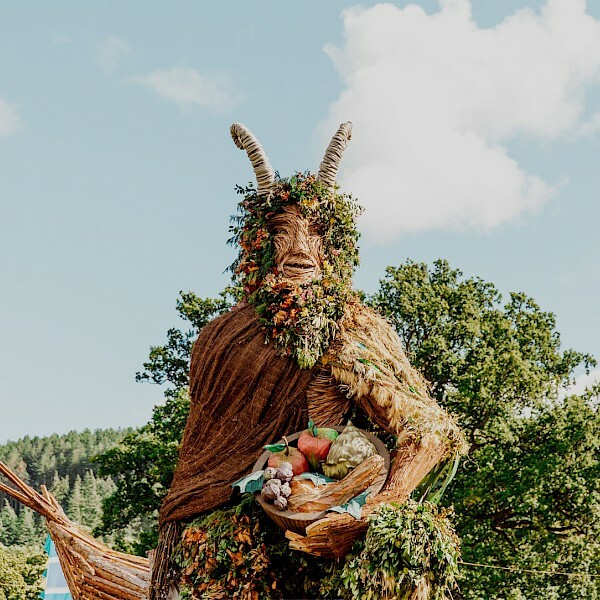 Green Man 2019 has landed!